Luis Garcia Plaza has been appointed as Villarreal's new head coach until the end of the season following the sacking of Javi Calleja. Villarreal parted company with Calleja on the back of Saturday's 3-2 loss to Celta Vigo which left them three points above LaLiga's relegation zone. Garcia Plaza coached the club's B side in 2005-06 and has since held senior roles at Levante and Getafe, as well as spending time with Beijing Renhe in the Chinese Super League. Villarreal are back in action on Thursday with a home match against Spartak Moscow in the Europa League, with Group G still wide open ahead of the final matchday. 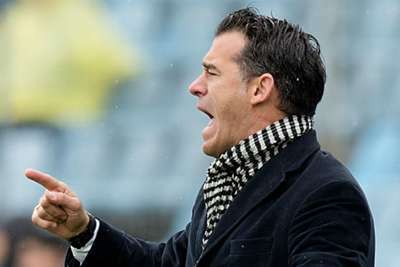 Calleja was given his marching orders by Villarreal 15 months after being placed in charge. He guided them to a fifth-place finish in his first campaign, but three wins from 15 this term has left the club facing a relegation battle.